Working from your own photographs increases the quality of your work. It also makes your art unique to you! Make sure that you keep the same theme throughout your book. If your theme is clothing then make sure you create responces in which the main subject of the art is to do with clothing. These three pages were made using Acrylic Paint. 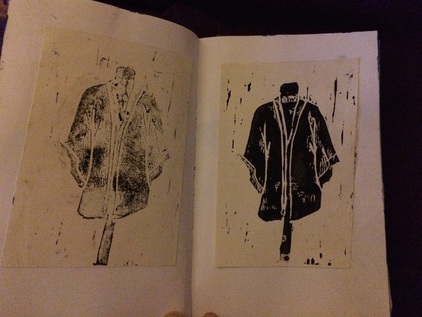 Below: These prints were made using lino cutting tools and black printing ink. What elements used in the artists work have you duplicated? ​What process did you use to create the response? Explain how you made it, what tools or materials did you use? How did you find working with these tools and materials? What did you learn throughout the process? Does it have the same message as the art you researched? Does it have the same atmosphere as the art you researched? 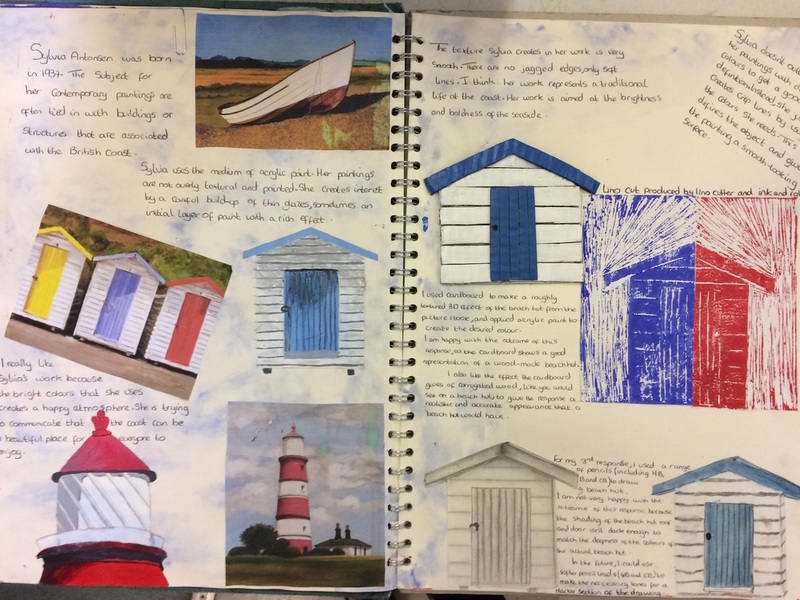 Use 4 different materials and processes on a double page. Use photos that you have taken and pictures of your artists work to inspire your subject, composition, medium and outcome. Make sure these responces are each of good quality. Assessment Objective 2 is about refining your ideas through selecting and experimenting with appropriate resources, media, materials, techniques and processes. There are various ways of using these to develop ideas and create a personal response.